Great Indian Developer Summit is one of the premier developer conference in India that is usually held in the month of April every year in Bangalore . I had the opportunity to attend almost all the previous editions of GIDS with one expection where i missed last year’s conference for some reason. This year GIDS is special for me . 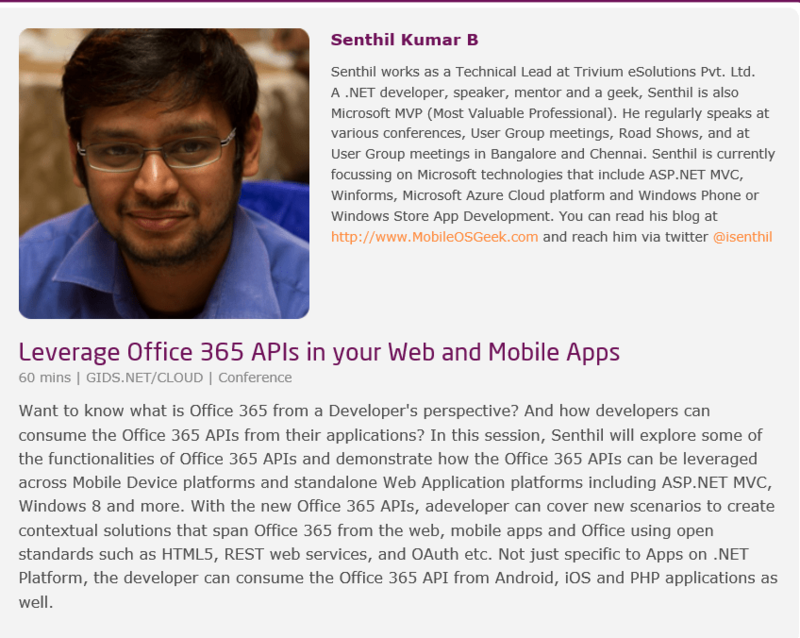 Yes , I will be presenting at GIDS Conference . 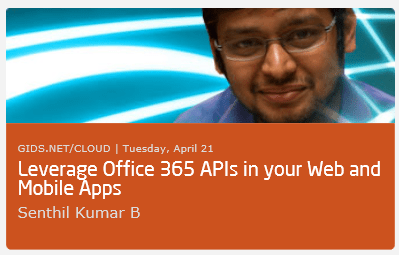 I will be presenting on the topic “Leverage Office 365 APIs in your Web and Mobile Apps”. Currently , my session is scheduled on April 21 , 2015 between 17:30-18:30 at Hall C.